Bij aanschaf van dit product krijgt u in totaal 58 Loyaliteit punten. Uw winkelwagen bevat een totaal aan 58 Loyaliteit punten die omgezet kunnen worden in een waardebon van € 11,60. A COMPLETE ALL-INCLUSIVE FM PACKAGE GETS YOU ON AIR IN MINUTES! 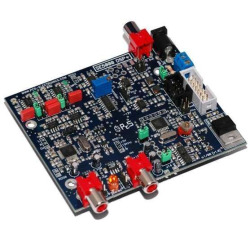 This is a small, but well built and reliable package, with high quality transmitter (DSP stereo and RDS options), antenna, mains power supply, connectors and coaxial cable. This package can also be powered from a car battery (13.8V-15V), which can save lives in emergency. 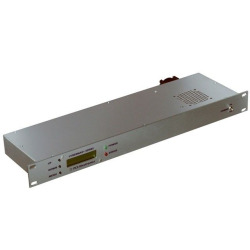 A perfect backup transmitter for a large radio station, main transmitter for a small community radio, church radio or an exciter for a larger 500W, 1KW, 2KW or even 250KW FM amplifier. Also very suitable for portable or improvized installations and small radio stations in Africa and other remote installations, advertising (housing, shops), special occasions, drive-in cinema wireless sound distribution, translation, tourism. 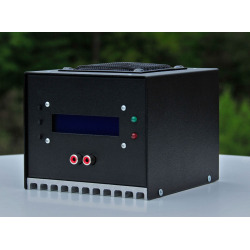 - Fully portable and can run from car battery or battery pack. - Includes everything, even coaxial cable and antenna. Model B: Tunable dipole antenna with coaxial cable, antenna needs to be tuned, requires SWR meter.